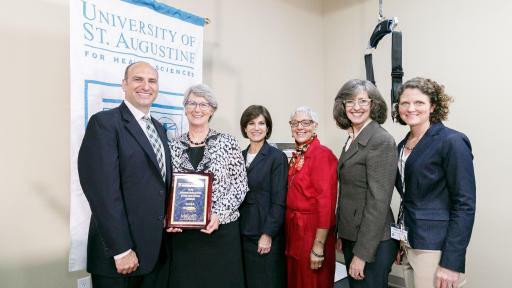 University of St. Augustine for Health Sciences (USAHS), a leading graduate institution that emphasizes health and rehabilitative sciences education through innovative classroom education, is pleased to announce the installation of SafeGait 360° Balance and Mobility Trainer® on its Austin, Texas campus. The device, which was designed in collaboration with experts in physical therapy (PT) and occupational therapy (OT), works to mitigate the risk of injury from falls, protecting both the patient and therapist. 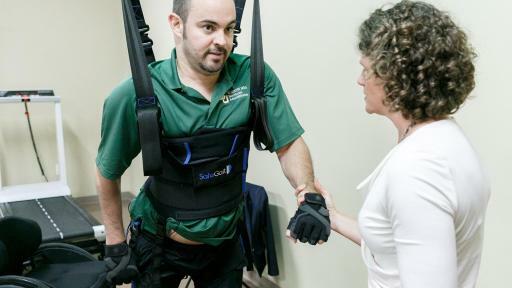 In addition, SafeGait 360°’s dynamic fall protection (DFP) distinguishes between a patient’s intentional downward movement and when a patient is actually falling, which allows therapists to easily modify fall protection sensitivity to accommodate and challenge patients at varying stages of independence. USAHS is one of the first higher education institutions in the nation to install this innovative body-weight support and fall protection system. In addition to conducting ground breaking research with patients and students, faculty members with extensive experience in body-weight treatments aim to open a clinic which will provide new treatment options to patients in the Austin community, and will begin seeing patients in October of this year. 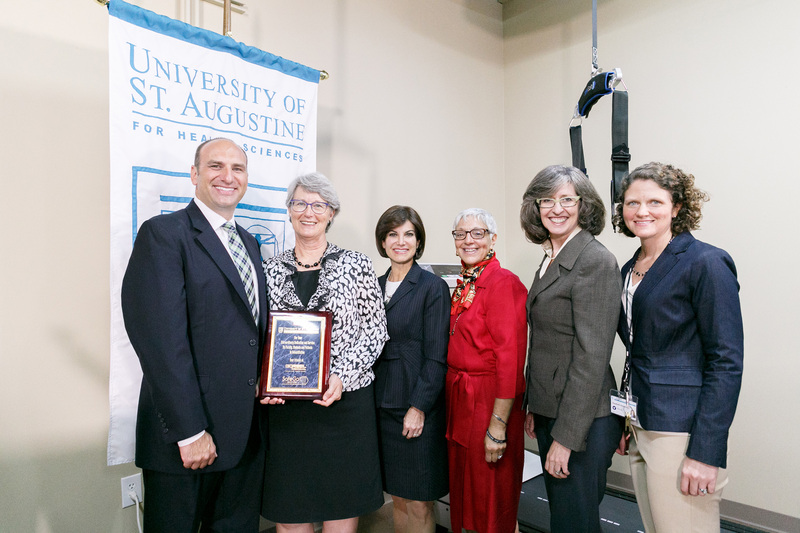 University of St. Augustine for Health Sciences unveils innovative SafeGait 360 balance and mobility trainer on its Austin Campus. 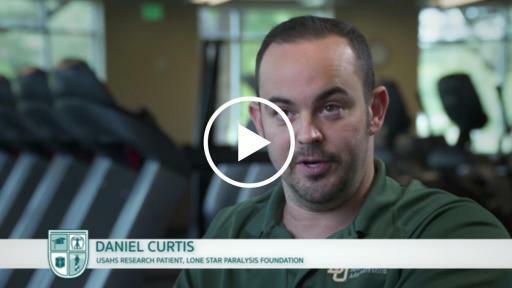 New, innovative USAHS equipment to be used in education, research and community rehabilitation with patients in Austin with neurological injuries and geriatric patients. SafeGait 360° is essential in providing advanced treatment solutions to a variety of patients, but especially patients who suffer from a neurological injury, such as a stroke, spinal cord injury, spina bifida, multiple sclerosis and traumatic brain injury. 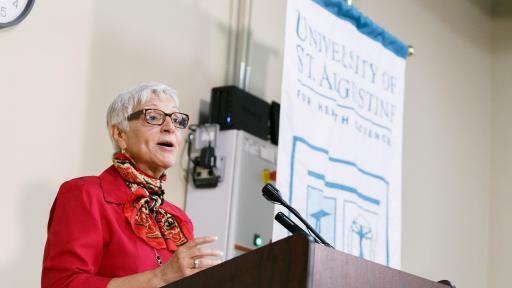 In addition, the equipment will be used for research and to provide treatment for orthopaedic patients and to geriatric patients, who are at a risk for injury from falls. At USAHS, many faculty members are planning to use SafeGait 360° to conduct research with both students and patients. At USAHS, it’s not just about having the equipment, it’s about knowing how to use it. 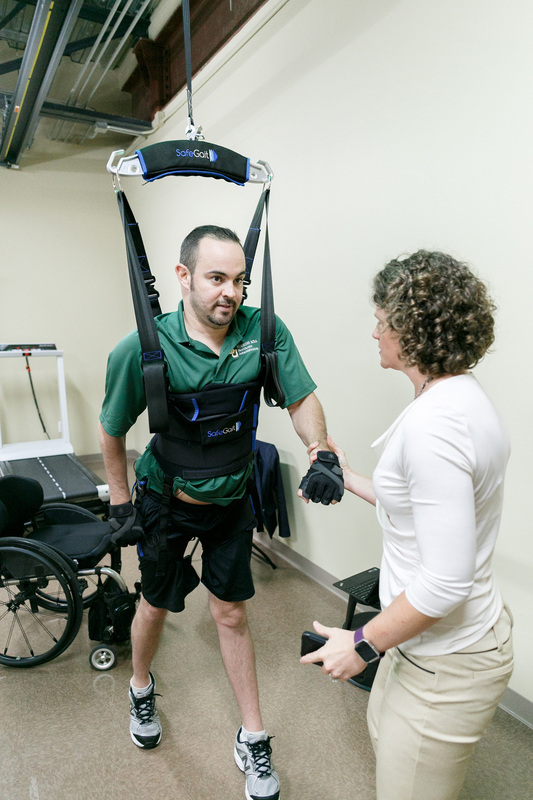 USAHS faculty members have experience in using body-weight support equipment with patients, and have done previous research in body-weight supported treadmill training. Currently, students at USAHS work in Patient Oriented Integrated Neurological Treatment (POINT) labs, with real-life patients, at the guidance of their faculty members. Through the POINT labs, USAHS brings patients with neurological disorders into the classroom, where they are evaluated and treated by the students over a four week period. 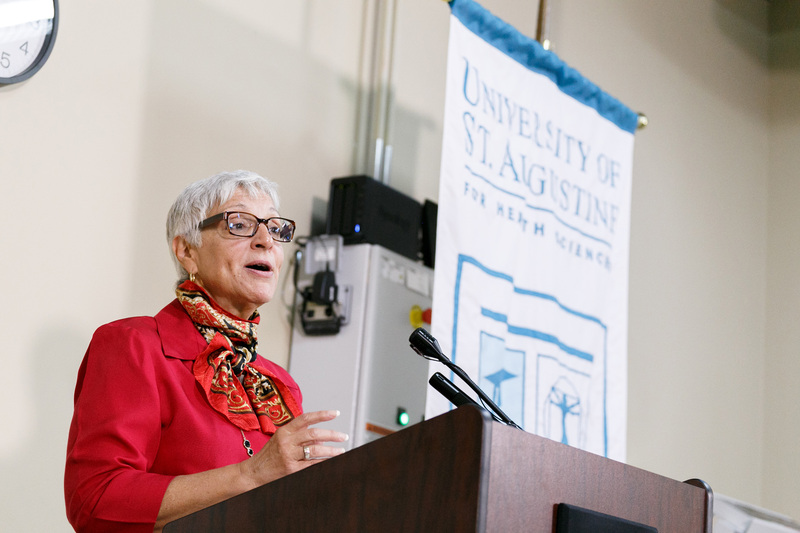 “If we can give our patients something that is new and provide our students with a different way of looking at how to treat someone with their injuries than they have had before, we are improving the learning experience for our students, and improving the lives of the patient,” said Ardolino. 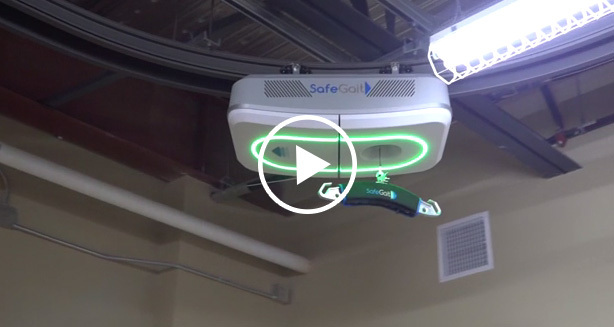 What’s different about SafeGait 360° at USAHS? SafeGait 360° features easy to use patient management software, which is an intuitive user interface allowing therapists to track and compare session and task data. Therapists can also create a plan of care that is specific to individual patient needs by choosing from an extensive list of transfer, gait and stair tasks, or customizing their own. The treatment options are aimed at challenging patients through setting goals, capturing rated perceived exertion (RPE) and measuring performance in real time. 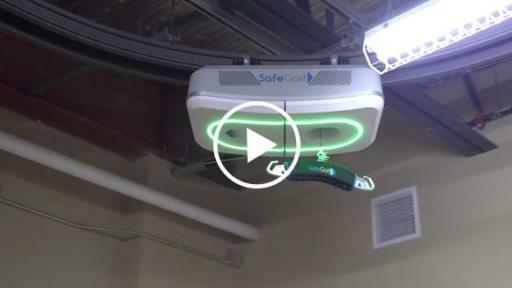 For more information on SafeGait 360° or USAHS, contact Rachael Lighty at rlighty@usa.edu or call 410.218.6055.